They had a wonderful time untill suddenly an UFO landed behind them. There were aliens inside that were lost and need help in finding their planet. 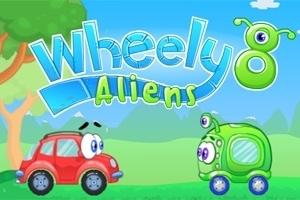 Wheely sets out on his adventure to find the map to their planet.